The quest for innovation & excellence is our true definition. 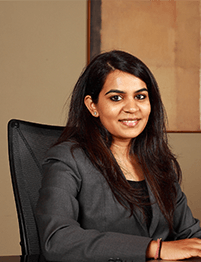 Since our inception in 1993, Shree Naman Group has been at the forefront of developing innovative services. With proper know-how & an expert team. The group has made a mark of repute in diversified businesses like Real Estate, Hospitality, Food and Beverages, Financial Service and Energy. Mr. Jayesh Shah, our founder and the visionary has created value in every business that Shree Naman Group has a presence in. We strive to be socially responsible with strong belief in business. Adherence to our values, embedded belief in excellence and unshakable faith in our system, our people and trust in our partners, our bankers, customers, vendors and contractors makes Shree Naman Group a name of repute. Four indispensable pillars - quality, technology, innovation and people form our vision, strengthen our commitment, hone our business sense and provide us the impetus to build structures that are physically strong, aesthetically sensitive and environment friendly. Quality delivers class, technology leads to growth, our innovations lead to excellence and our people lead us to success. The spirit of oneness echoes in our organisation. Imbibing Indian culture and values in our organisation and its day-to-day functioning is a norm with us. Like a close-knit Indian family, we strongly believe in oneness. We nurture our employees, helping and encouraging them to acquire and hone their skills, the sense of belonging is like that of family members and that in turn helps us serve our customers the best service they so rightly deserve. Behind every innovation and excellence there lies a great mind with extraordinary skill, meticulous planning and detailing. Each project bears the stamp of the genius of our renowned architects, planners and experts drawn from across the globe . We have an expert team of professionals in Business Development, Marketing, Sales, Engineering, Law, HR, Finance & Economics and industrial Psychology among others. 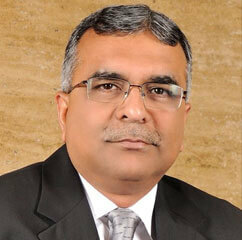 As the Chairman of Shree Naman Group, Mr. Shah provides strategic direction & leadership to the company. He is the force who drives the team towards becoming an integrated infrastructure player. Under his guidance, Shree Naman Group's commercial, residential and hotel properties have become landmark destinations within a decade. 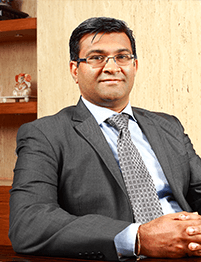 Having earned a Bachelor’s Degree in Commerce and Law from the University of Mumbai, Mr. Shah drives entrepreneurial energy with professionalism. He believes, that infrastructure growth is the foundation to India's progress, and is committed to paving the way for development with Shree Naman Group. 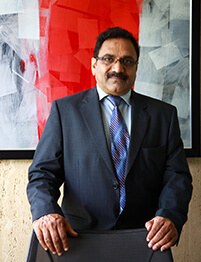 Mr. Shah is actively involved in the betterment of urban infrastructure, he is the founder member & Vice President of the Property Redevelopers Association, Mumbai. He is on the subcommittee of MCHI for Housing Special Assistance Department, MHADA, and reconstruction of old buildings. Also, he is involved in a cause which is helping Mumbai build better habitat and international quality infrastructure- provides constructive housing solutions to the inhabitants of the island city of Mumbai by redeveloping old and dilapidated structures into new buildings. 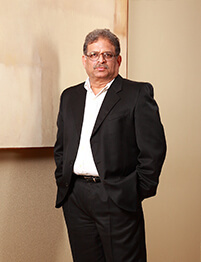 Mr. Shah is the founder member and President of BKC Property Owners Association and a founder member and Vice President of Property Redevelopers Association (PRA). 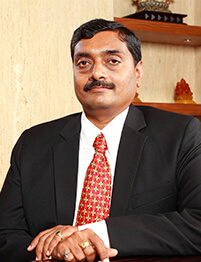 He is on the Managing Committee of Maharashtra Chamber of Housing Industries (CREDAI - MCHI). The government of Maharashtra has also appointed Mr. Shah as task force member for development of International Financial Services Centre (IFSC) in Mumbai.